The sugar commissioner’s office is likely to issue showcause notices to eight mills in Maharashtra for carrying out sales beyond their monthly quota. Sources in the sugar commissioner’s office said they are planning to recommend action, which may include reduction of sales quota and barring such mills from government benefits like the soft loan scheme. An audit of the sales quota of 10 mills in the state, which were suspected of underselling their sugar stock at a price lower than the Minimum Selling Price (MSP), has revealed that none of them have actually undersold their stock, but some of them instead crossed their monthly quotas. Senior officers of the sugar commissioner’s office said they will issue showcause notices to such mills. “At the national level, about 50 mills reportedly violated their monthly sugar sales quota every month,” said the officer. “It’s necessary to take action against such mills as low sugar realisations are hurting the mills’ ability to clear their cane dues,” said the officer. Maharashtra’s sugar commissionerate is also planning to recommend punitive action like reducing the sales quota for the mills in the upcoming months and excluding them from the soft loan scheme of the central government for payment of cane dues. 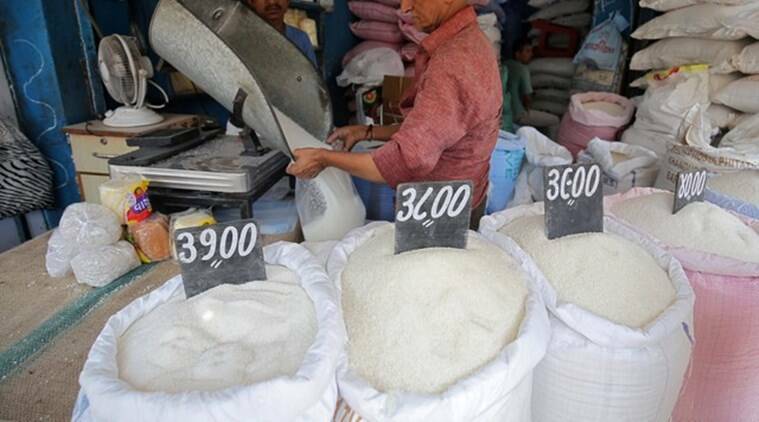 Since July last year, the central government has reintroduced the release mechanism to control the availability of sugar in the open market. Mills were issued a monthly sales quota to ensure that prices of sugar remain stable in the open market. Along with this measure, the government also fixed the MSP of sugar at the ex-mill level, and both of these were part of efforts taken by the central government to keep sugar prices stable and allow mills to pay cane farmers the Fair and Remunerative Price (FRP). While the MSP was initially Rs 2,900 per quintal, it was subsequently raised to Rs 3,100 per quintal. By the end of March, mills in Maharashtra had run up arrears of nearly Rs 4,600 crore. Low sugar sales and a much lower volume of exports have landed the sugar industry in this unprecedented state of crisis. Meanwhile, of the 195 sugar mills that had taken season, 183 have already ended their season this year. Mills have crushed 949.02 lakh tonne (lt) of cane and produced 106.71 lt of sugar.